This is a magnificent one of a kind model. You can see the amazing details from the following pictures. 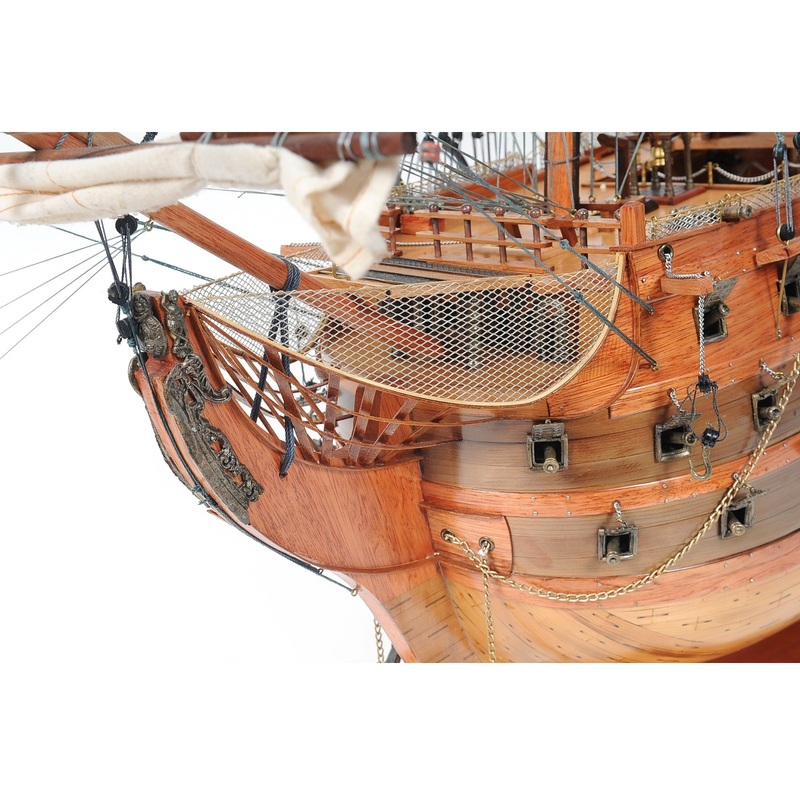 The bottom of the hull was tediously made by joining hundreds of small wooden pieces. Each model is uniquely identified by a serial number. 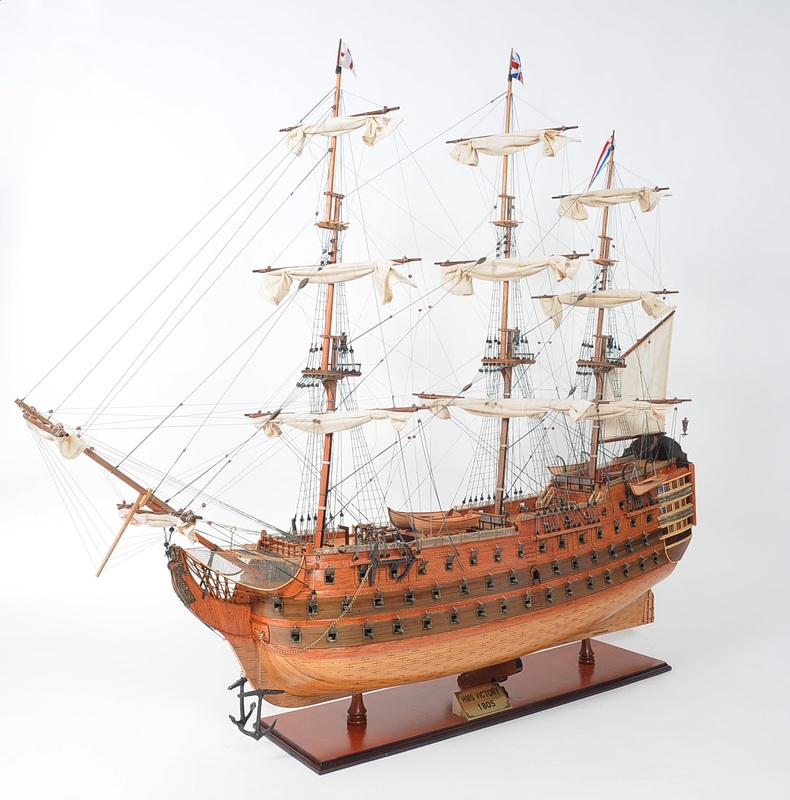 This is a true limited edition of the HMS Victory. Other great characteristics include: 100% hand built from scratch using “plank on frame” construction method. Hundreds of hours is required to finish a model. 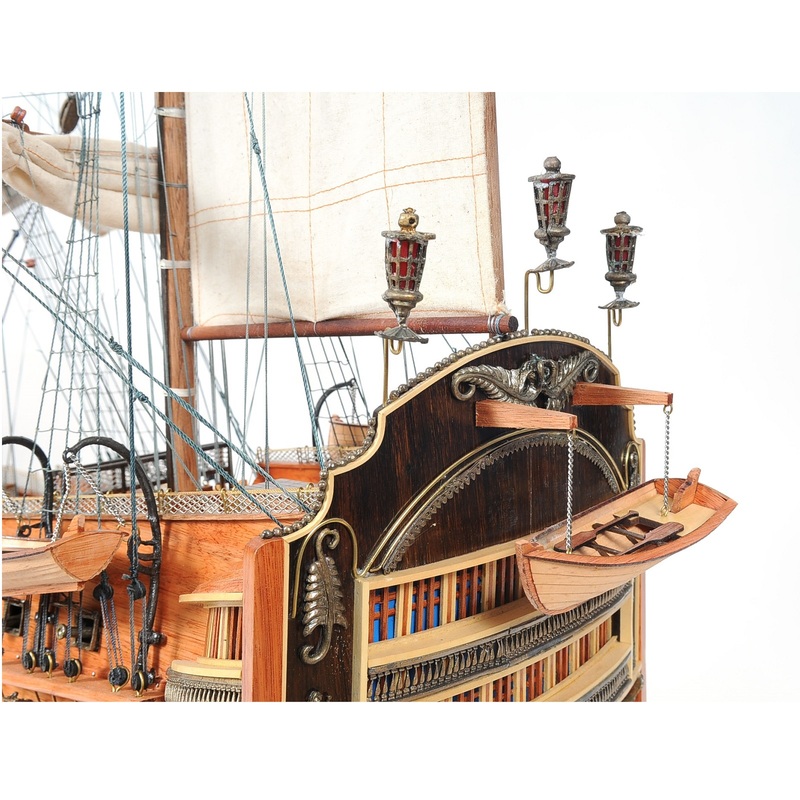 Completed models contain thousands of details created by our skillful master craftsmen. Made of finest wood like Rosewood, Mahogany, Teak and other exotic tropical wood. Chrome and brass fittings and ornaments constitute the excellence of our models. Extensive research through original plans and pictures make our models authentic. Each model goes through a demanding quality control process before leaving the workshop. 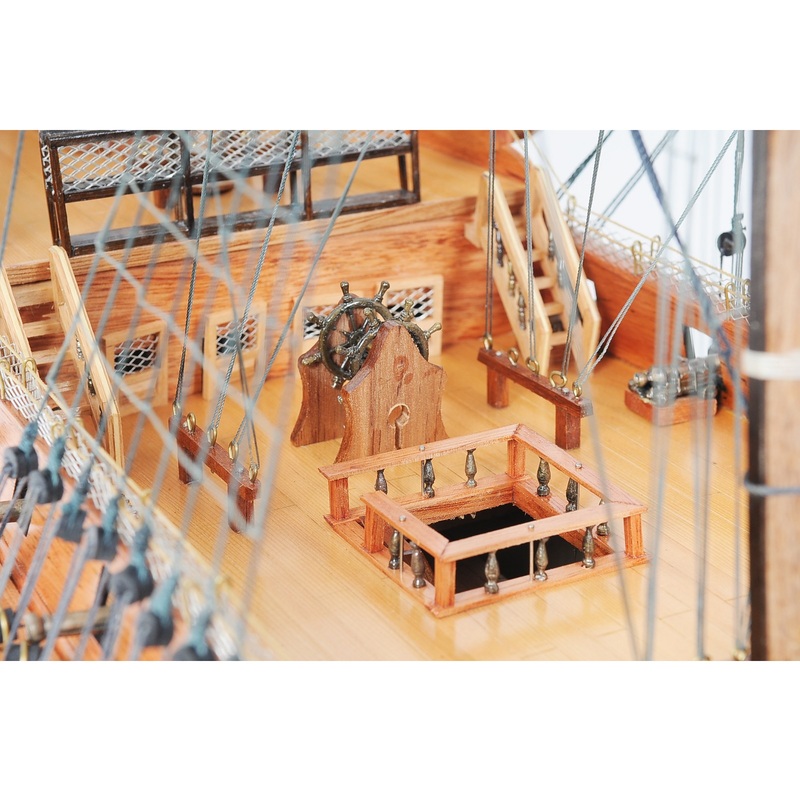 Just the perfect gift for home or office decorator, boat enthusiast or passionate collector. The H.M.S. 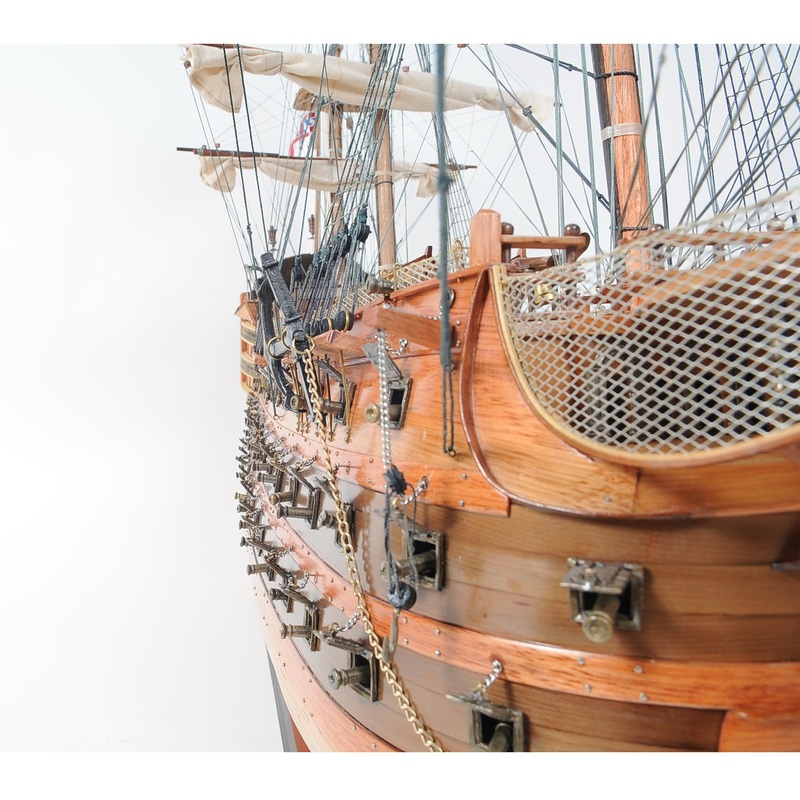 Victory was the ultimate British fighting vessel: a full rigged 227 feet long ship with 104 guns and 850 men when at full capacity. It is able to move from 15 to 17 kilometers per hour, and weighed as heavy as 7 tons, including guns. 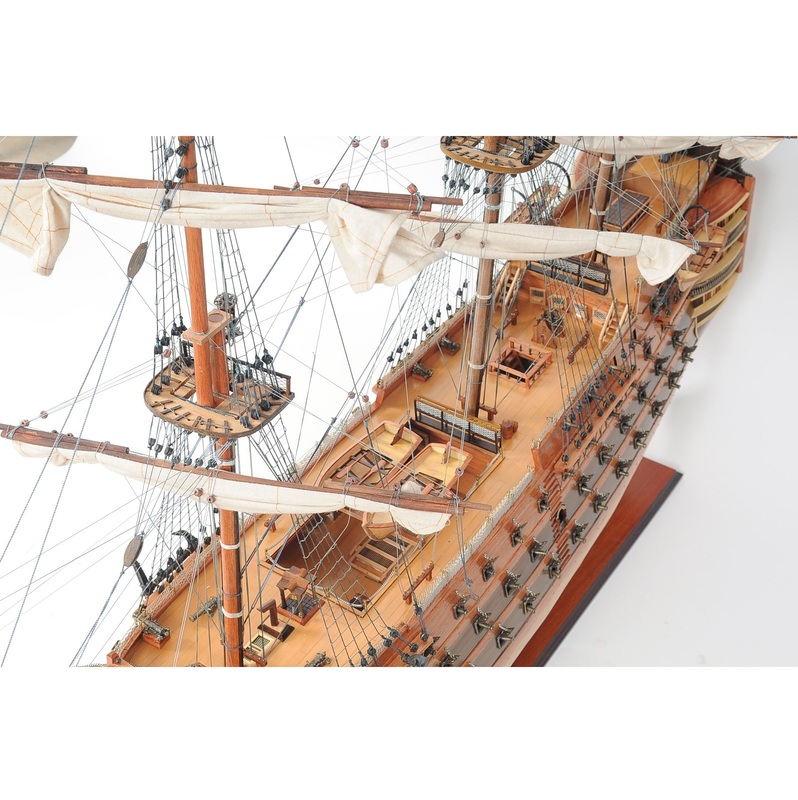 It was launched in 1765 and was most famous as Admiral Horatio Nelson’s flagship at the Battle of Trafalgar in 1805. Nelson was shot and killed during the battle. H.M.S. Victory is the oldest naval ship still in commission. It has been restored and rests in a dry dock at Portsmouth, England. 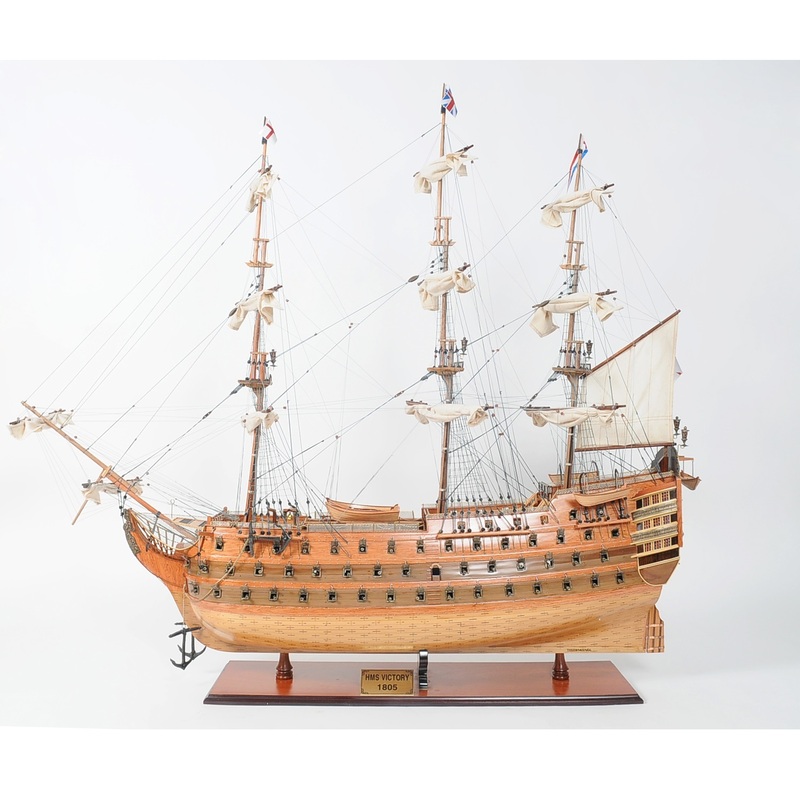 The ship in Portsmouth is the sixth ship with the name Victory in the Royal Navy. 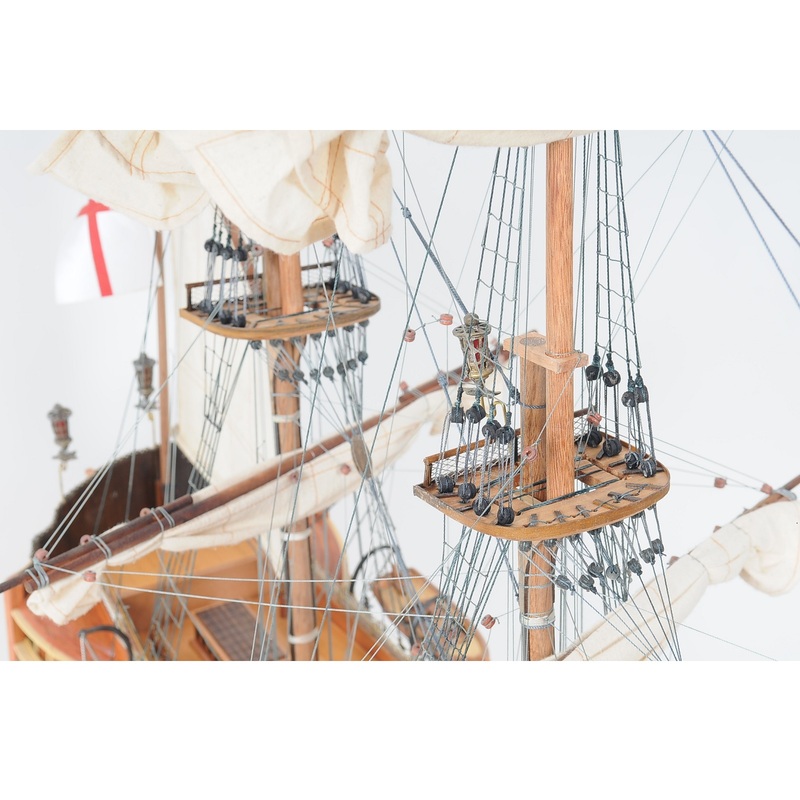 There has been great interest in the fifth Victory ship, which was built 15 years earlier and whose wreckage was found recently by Odyssey Marine Exploration.